John-David Duggar is the son of Jim Bob and Michelle Duggar. He is the younger brother of Josh Duggar, the twin brother of Jana Duggar, and the older brother of Jill Dillard, Jessa Seewald, Jinger Vuolo, Joy-Anna Forsyth, and Joseph, Josiah, Jedidiah, Jeremiah, Jason, James, Justin, Jackson, Johannah, Jennifer, Jordyn-Grace, and Josie Duggar. He is the husband of Abbie Duggar. John-David Duggar was born on January 12, 1990, to Jim Bob Duggar and Michelle Ruark. He was the couple's third child, with their second child being his twin sister Jana Duggar. John-David and his twin sister were seen by their parents as a blessing from God in response to their decision to eschew birth control, and his parents then went on to have sixteen more children. Like most children, John-David was assigned chores growing up, which the family called "jurisdictions". In 2003, one of John-David's jurisdictions was to plan and prepare dinner each night along with his twin sister and older brother Josh. "They like to do that because they get to choose the menus!" John-David's mother, Michelle, had to say of this jurisdiction. In 2004, John-David's jurisdictions were said to include training the family dog, Jasmine. As of 2011, John-David no longer had a jurisdiction, likely because he had moved on to doing other jobs outside of the house. By 2001, John-David's parents had implemented a buddy system, where each older child was paired with a younger child to take care of. Typical tasks for an older buddy included dressing, bathing, and feeding their younger buddies. By 2009, the family had switched from individual buddies to buddy teams, with each team being led by one of the oldest four daughters. When this switch happened, John-David was relieved of his duties as an older buddy. In 2006, John-David and his family moved into a new home in Springdale, AR. The family made a point of doing much of the work on the house themselves, seeing it as a learning opportunity for their children. As the oldest two sons, John-David and his brother Josh were especially instrumental in this construction project. When the house was completed, John-David moved into a dormitory-style room with his brothers. John-David was homeschooled growing up, with his family relying heavily on the Institute of Basic Life Principles and its Advanced Training Institute. As he grew older, he was given the responsibility of helping younger siblings with their schoolwork in addition to doing his own. John-David took the test for his GED at sixteen years old. John-David began taking piano lessons from Ruth Anita Anderson, who he and his siblings referred to as "Nana", as a young child. He also took violin lessons. When John-David was fourteen years old, the first of his family's television specials, 14 Children and Pregnant Again!, aired on Discovery Health Channel. This special was followed by four more special programs about his family's life before the family became the subject of their own regular show, 17 Kids and Counting, on TLC when John-David was eighteen years old. On June 26, 2018, John-David announced that he was courting Abbie Burnett. The couple connected at an event at Abbie's church in Oklahoma. On July 17, 2018, John surprised Abbie Burnett at her family's home in Ada, OK. The couple, along with sisters Jana Duggar and Maggie Burnett, flew to Fredricksburg, TX, where they had dinner at the Airport Diner. After dinner, John took Abbie to a nearby room at the airport that had been set up for the proposal. After reading her a written speech, he proposed, and she said yes. The couple publicly announced this engagement on July 25, 2018. 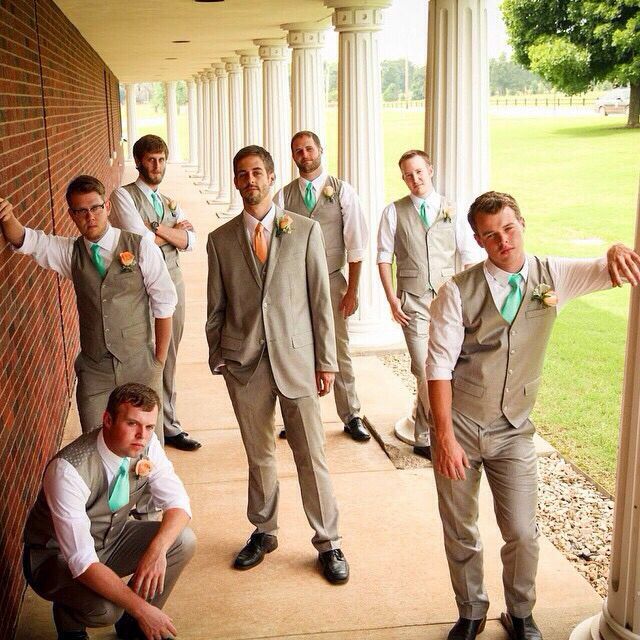 John married Abbie Burnett on November 3, 2018, at First Baptist Church in Ada, OK. His brothers Josh and Joseph Duggar and brother-in-law Austin Forsyth were among the groomsmen, and his twin sister Jana Duggar was a bridesmaid. John and his sister Jana on 14 Children and Pregnant Again! On September 6, 2004, Discovery Health Network aired an hour-long special titled "14 Children and Pregnant Again!" This special introduced television viewers to the Duggar family, including fourteen-year-old John-David. This special was followed by four more specials, "Raising 16 Children", "16 Children and Moving In", and "On the Road with 16 Children", which all aired in 2006, and "Duggars' Big Family Album", which aired on September 22, 2007. On September 29, 2008, the show 17 Kids and Counting premiered on TLC. This show was a weekly half-hour reality show chronicling the lives of the Duggar family. John-David was regularly featured on the show. Later renamed 18 and then 19 Kids and Counting for the births of Jordyn and Josie Duggar, this show aired for 10 seasons. On July 16, 2015, amidst scandals involving John-David's oldest brother, Josh, TLC announced that they were canceling 19 Kids and Counting. On December 13, 2015, the first installment of a three-part special titled Jill & Jessa: Counting On aired on TLC. These specials focused on the family moving on after the scandals of the previous summer. Although the specials were focused primarily on John-David's sisters Jill and Jessa, who had both recently married and were starting families, John-David and the rest of his adult and older teenage siblings were featured as well. This show was picked up as a regular weekly reality show shortly after, and was renamed Counting On for season 3 when John-David's sister Jinger's courtship became a central focus of the show. Since then, it has focused more on all of the adult Duggar siblings. John-David's engagement is going to be one of the primary focuses of the show's ninth season, which premiered on February 11, 2018. John was also briefly featured in an episode of United Bates of America, a TLC series that chronicled the lives of the Bates family. On August 27, 2012, the episode "Bates & Duggar Reunion" featured John and his family spending time with the Bates family at an ATI homeschool conference. In 2010, John-David ran for alderman in Tontitown, AR. "I'm very blessed to be from the family I am from. So I think it might help me a little," John-David said in an interview about the election. John-David ultimately lost this race. In 2012, John-David again lost the race for alderman. Some time before November of 2010 John-David began volunteering as a first responder for the local volunteer fire department. It is unknown if he still continues to do so today. On February 24, 2011, John-David utilized his skills as a first responder to aid the rescue efforts after a massive tornado destroyed the town of Joplin, MO. In October of 2014, John-David was sworn in as a constable of Washington County, Arkansas. He is still serving in this position today, having most recently been reelected on November 6, 2018. John-David previously ran his own business, Duggar Towing. This business is no longer in operation. John-David Duggar often goes on mission trips, usually with his family. The family goes on a yearly trip to El Salvador the week after Christmas to spread the gospel. The family also has gone to Honduras. In 2010, John-David and his sister Jana went on a mission trip that involved Malaysia, Singapore, and Indonesia. On this trip, they mostly worked with children, teaching them about the Bible. John-David got sick on his way home from this trip. John-David got his private pilot's license and instructor's license. In honor of this, his parents bought him a plane. He frequently flies members of his family, but it is unknown if he ever flies anyone else.